Our Pioneer Series is thrilled to introduce you to Dave Walls, Plant Manager at Plasma Coatings, a division of American Roller. Plasma Coatings has been in business for 48 years and is a trusted LIA. Read about the company’s origins, evolution, and future interests in this interview. Q: When was Plasma Coatings founded? Q: Who founded Plasma Coatings and why? A: Originally, the company was founded by some investors that recognized the need for a non-stick coating in the paper industry. They hired Bob Carlo, the president and CEO, who gets credit for the growth of the company. He ran it until he retired in 2003. A: An oven: critical for curing Teflon™. Q: How would you describe the changes in the company now from when it was first started? A: The first plant was Plasma Coatings headquarters in Waterbury CT. They went from being a single plant to looking at who else had a need. They grew in different industries other than paper. As they were growing in Connecticut, they found the same needs in different parts of the country and branched out to the south. 1986 marked the opening of the Tennessee plant. It was an area rich in paper industry and other manufacturing. Then, with so much manufacturing in the Midwest, we opened a plant in Minneapolis in 1991. Later in 2003 when Bob Carlo and the shareholders decided it was time for them to retire, Plasma Coatings was acquired by American Roller Company. In 2011, American Roller opened a new Plasma Coatings plant in Houston, TX and then in 2013 we opened in Shanghai, China. Leading the way is Dan Cahalane, president of American Roller and Randy Mittelstaedt, corporate operations manager of the coatings group, who do a terrific job of driving the growth and general operations of the company and coating facilities. Their contributions to our success are both substantial and vital. A: The expansions of the company gave us a wider national and global reach. Over time, Plasma Coatings became involved in a variety of industries including paper, rubber, chemical, power generation, converting, petro-chemical, adhesive products, food, and oil and gas, among others. Another significant milestone was Plasma Coatings coordinating licensee activity in several different countries. The First licensee came on board about 1980 (late 70s) in Italy. We found success with the Italians having the same challenges in industries as the U.S. We then started looking for other opportunities to spread that around. Eventually, we set up licensees in Australia, South America, Japan, and a few other places and we now have 8 licensees we provide training to. But, one of the biggest milestones was us becoming a part of the American Roller team. With a 75 year plus history, American Roller has great engineering and machine shop services in their multiple plants, as well as Teflon application, which combined with Plasma Coatings capabilities, really make us a one stop shopping company with a full range of services. Q: How has the coating industry itself changed over time? A: The biggest change is the expansion of the Teflon industry to all kinds of manufacturing markets. In the early days, companies weren’t really using much Teflon. It wasn’t spread into so many industries and applications as it is today. It’s interesting seeing that growth in all different markets; even today we’re selling to companies that have never used Teflon. There’s a regular sales activity that uncovers these new opportunities. A: Regular contact with Intech and Chemours has been educational. Learning more about the products in a more direct way than just data sheets and opportunities into new areas and companies that have been recommended to us through the program has been really good. Q: What is your favorite Teflon coating? A: An easy go-to is a PFA or FEP because they work well in so many applications. But, one coating that works in many areas is the 420G-109. We try to provide all coatings. Anything that is in the Teflon offering that is needed, we can provide. We pride ourselves on offering custom solutions for specific problems. We look more deeply into applications and rely on history and experience about how things work in certain areas so we can provide a customer with specific solutions as opposed to a couple of do-it-all coatings. A: I have been with Plasma Coatings for 29 years, and although I have seen a lot in those years, still today I learn new things essentially daily. We are looking forward to the future of new applications that we can uncover. Everything doesn’t turn into a blockbuster volume of sales, but it’s interesting to find the different things going on in manufacturing so that we’re part of a never ending learning process. We are looking forward to a future of continuing that growth. It’s all out there. There’s new opportunity around every corner, and I find it really exciting. For more information on Plasma Coatings, visit their website here. Our fifth webinar in the I³ Webinar Series is coming up soon! On September 19th at 2:00PM EST, join Mark Berry of Intech Services to learn more about Application Equipment! Register here for the thirty-minute, informative webinar at no cost. “Do you have Teflon™ paint in a spray can?” is a frequent question asked by consumers. If only applying Teflon™ coating was that easy. Teflon™ coatings come in both liquid and powder formulations, and there are numerous ways to apply Teflon™ industrial coatings, but all Teflon™ coating applications require baking to work properly. If you currently apply Teflon™ industrial coatings or are interested in setting up a coating operation and want to find out the various ways to apply this amazing product, this is the webinar for you. At Intech Services, we pride ourselves on being very responsive to any and all problems, concerns, or questions that customers may have. Often, when customers attempt to interact with other companies, it is hard to get technical help. 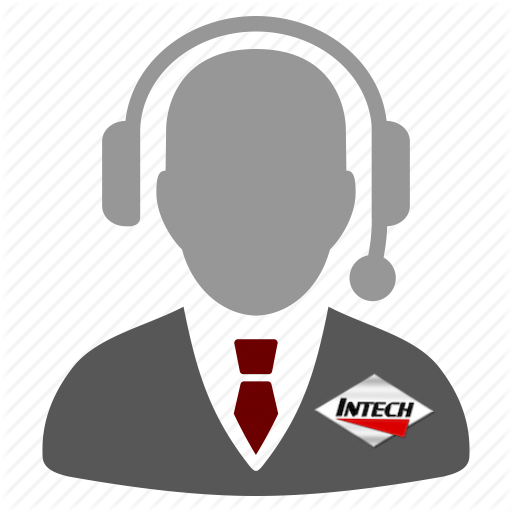 At Intech, we provide a full-service customer service team available to answer phones. We are always responsive and authentic. If we do not answer your inquiry right away, we call or email you back within 24 hours. Many other companies do not have this advantage of personal touch. Often, customers have to speak with corporate representatives who are difficult to get in touch with and not as knowledgeable or personable. We enjoy being able to help customers with their purchases, questions, and concerns because we know how important it is to get it right, both on our end and on yours.